New stationery always brings back such nostalgic memories of my years at school, back in the day when stationery was free. I used to think there was an old father Croxely sitting and designing covers for the feint ruled books, just to keep us children entertained lol. With the dawn of each new year I entered the year armed with new stationery and a resolution to work harder and do better. It is funny how time flies xoxo Corrine. We supply large corporates, small businesses, retail and various other sectors throughout the Eastern Cape, Free State, Gauteng, KwaZulu-Natal, Limpopo, Mpumalanga, Northern Cape, North West, Western Cape and Africa. If you have nostalgic memories of school be sure to post a comment, I would love to hear your story. We all hear the saying, everything increases except our salary. Between the school fees, uniforms and stationery there is never enough money.Well, we at Chamelon Media Marketing and our brand Bannerxpert we are here to serve you. As much as we would love to sponsor every ngo and school, that would not be possible. 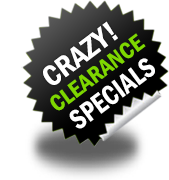 What we can assist you with is a discount on your scholastic bulk order. Speak to us today and see how we can assist you. Branded Tablet holders and USB chargers are popular techno gift. The stationery holder or organiser is a timeless classic gift, helping your clients get organised for the New Year. 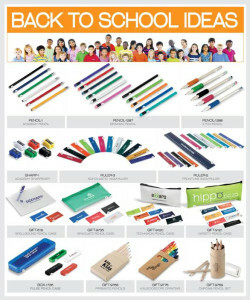 Stationery in a Tube case are also very popular as a low budget gift. for the sales team, or just a new product, feel free to contact us for a consult. Yes it is that time again for rulers, pencils, pens, sharpers, crayons and pencils cases. The items below make excellent promotional gifts for schools and offices. For a quotation simply send us email stating quantity, colour. Branding is optional ( if applicable, state how many colour) Minimum orders do apply. We would be delighted to assist you.